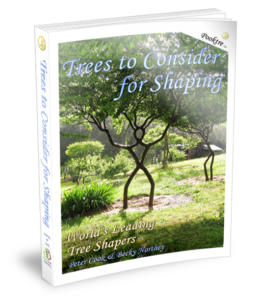 This book Knowledge to Grow Shaped Trees was written by Peter Cook and Becky Northey, the world’s leading tree shapers. 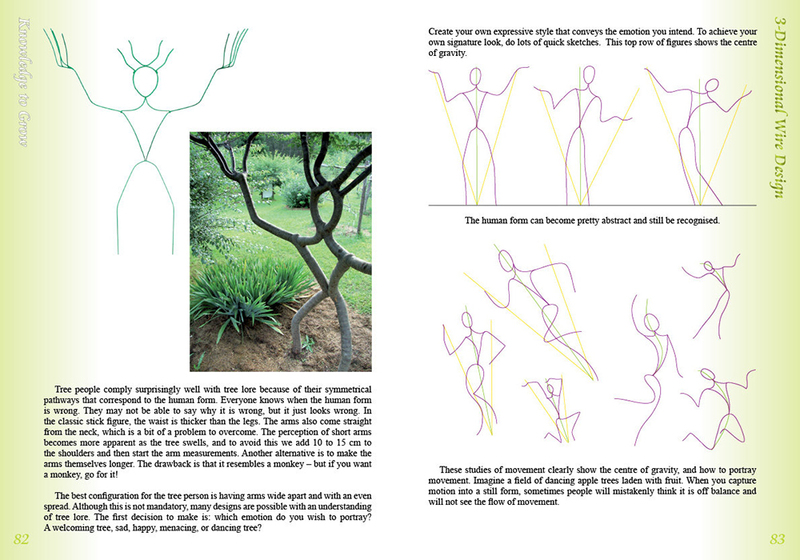 The knowledge contained in this book, is their answer to worldwide demand for Pooktre’s shaping method. 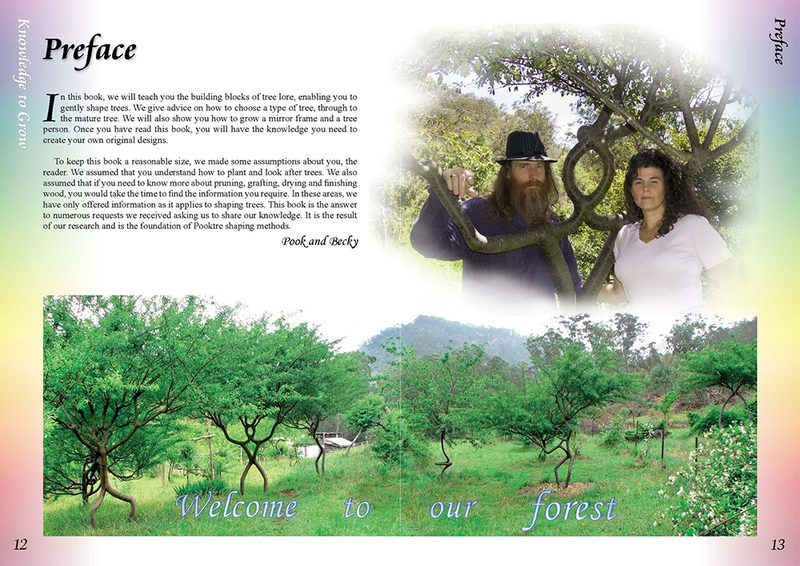 Gives you the ability to live in harmony with trees. Grow a fantasy entrance to your garden. 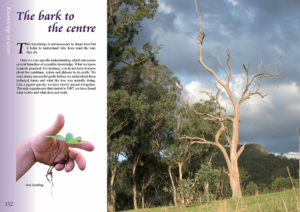 Some trees species should not be used. 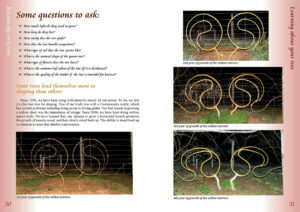 Find out which trees they are and why. You could waste years trying to find the right tree. 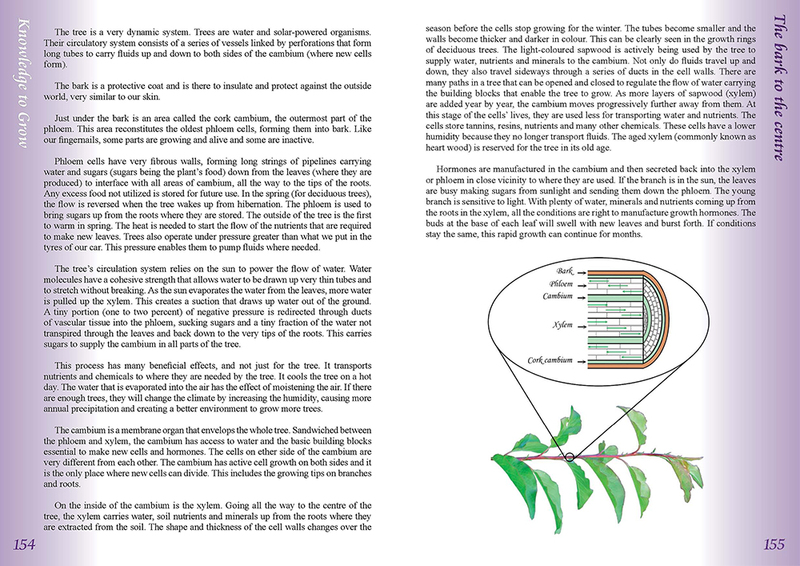 This book show you tests If you don’t understand the importance of light, you could be staving your plants. 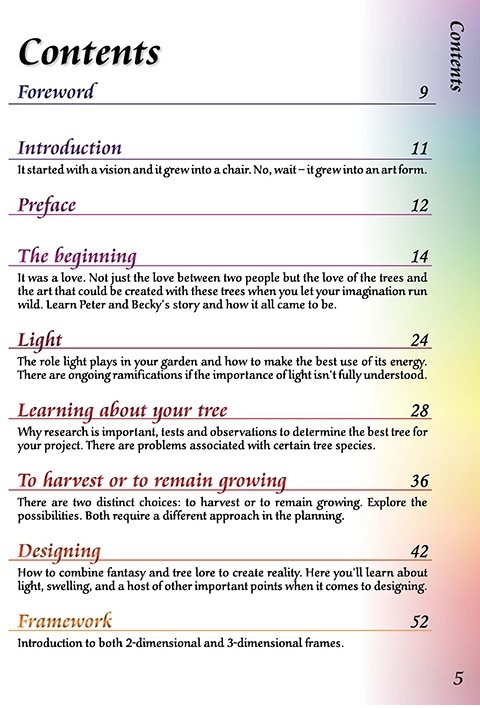 Discover the role light plays in your garden and how to make the best use of its energy. 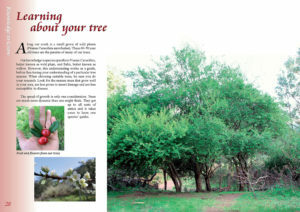 Before you start deciding your trees’ future, choose if it is to remain living or be harvested. 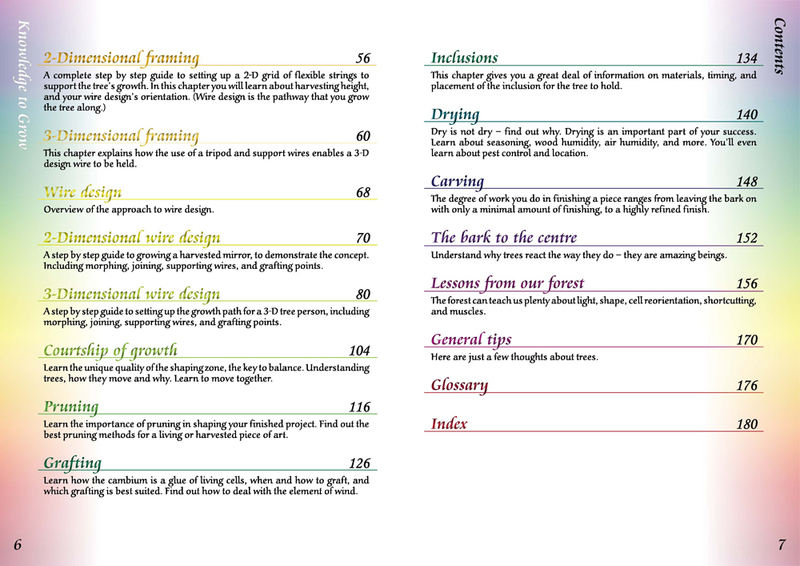 Designing is one of the most troublesome areas for most people. 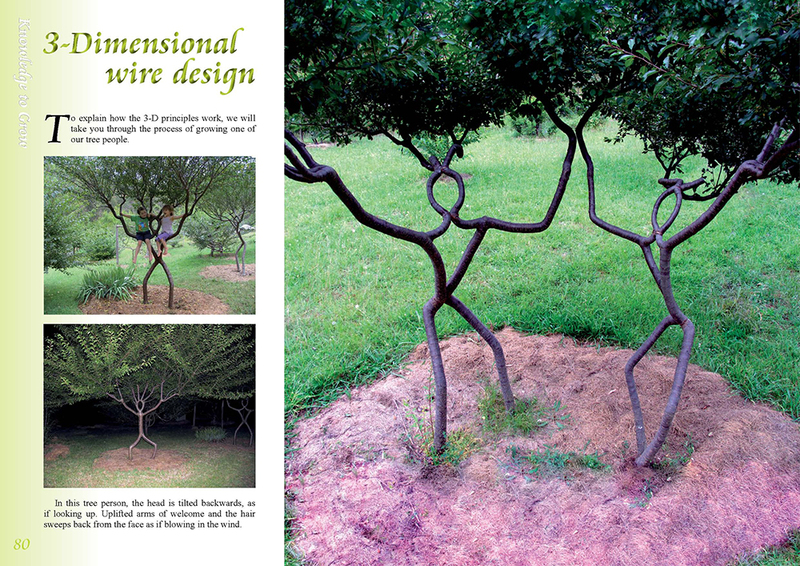 Designing is key to successfully shape trees. 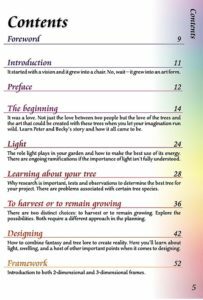 This book gives you the fundamentals of designing with tree lore and two step by step projects which demonstrate the principles in action. 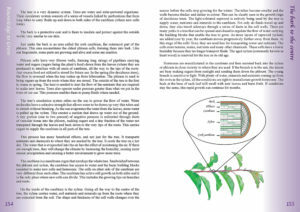 One is growing a person tree the other is growing a harvested mirror. 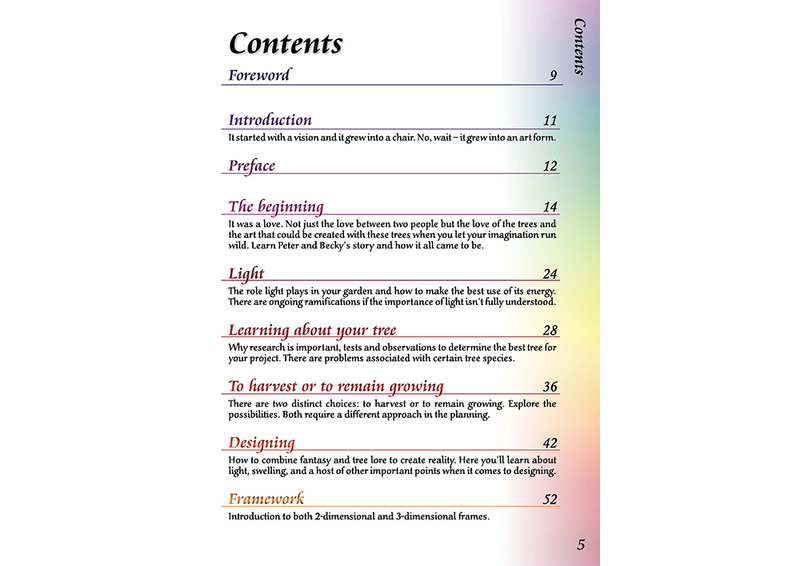 Now before you buy, make sure that you’ve read our legal documentation (links at the bottom of this page), checked out the bonus below, the sample pages below and most importantly, understand that as a digital product, we do not offer refunds on it. 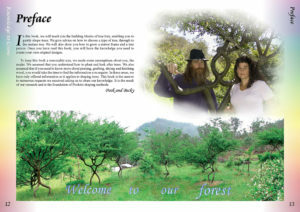 Peter and Becky decided to only have a digital book as they are encouraging people to grow trees not cut them down to make books. 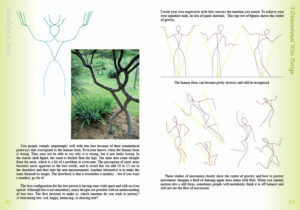 This virtual flip book, comes available to both p.c and mac. 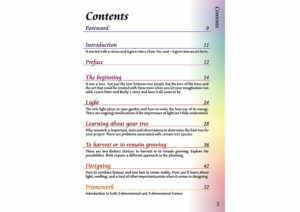 The P.C version is downloadable to your computer, the Mac version is hosted online and can be access with Mac, mobile readers and P.C. Cool huh? Due to the extremely low price for this product, we can only offer you this deal under the condition that there is a STRICT NO REFUND POLICY. Only buy this product if you agree with this. 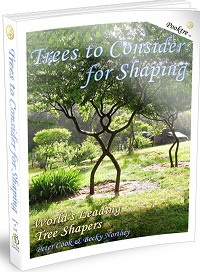 The price for Knowledge to Grow Shaped Trees $32.00 but may change as we deploy new features and functionality. 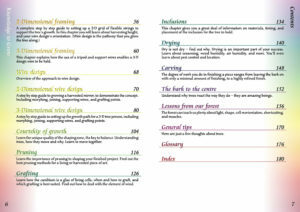 Full of useful information, this is no dry text book, and the pictures used to explain and demonstrate the various techniques (and to show the finished products) provide plenty of evidence that the advice given has indeed been gained from practical experience. 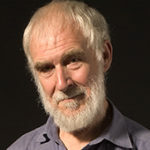 Dr Chris Cattle / The leading British tree shaper. 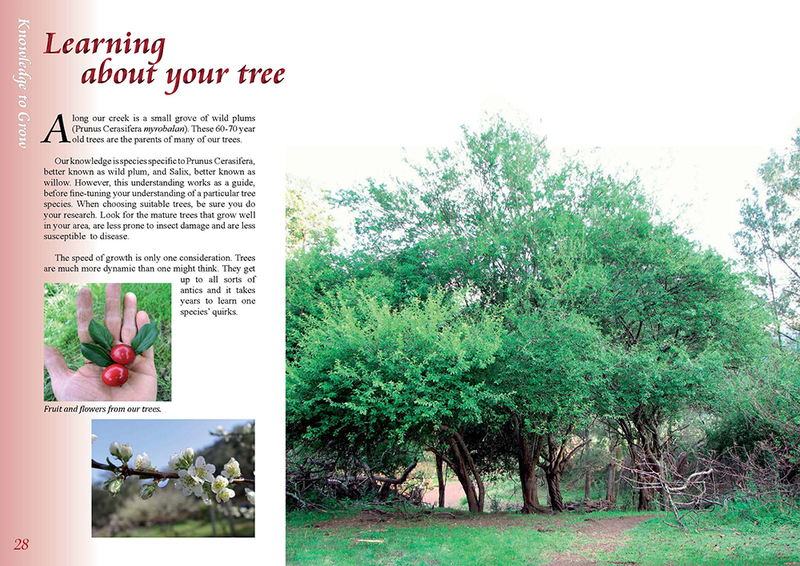 Pook and Becky have achieved and written about the wild Plum in this book are invaluable lessons and observations that will be much appreciated by anyone wanting to work with trees. A debt of gratitude should be offered for the hard won wisdom, tricks of the trade and short cuts they so generously offer. 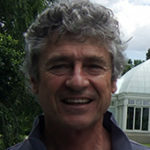 Dan Ladd / The leading American tree shaper. That’s what I would call a ­growing investment. 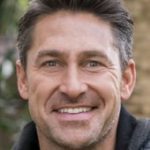 Jamie Durrie’s comment about pooktre when their trees appeared on the TV show Australia’s Best Back Yard. Channel 7. Pooktre believe we can all make a difference, this is one of the small ways they have chosen help others.